Valerie Elkins, a former International Research Consultant for the famed Family History Library in Salt Lake City, Utah is now the CEO of her own research company. “Smart people learn from their mistakes. Geniuses learn from others.” Everyone getting started in genealogy research makes plenty of mistakes. Want to learn what every successful genealogist wish they knew when they got started? Learn the top most common research mistakes and how you can avoid them. Discover how to be more effective, learn smart research habits, and avoid wasting time and save money. Don’t let the fear of making a mistake hinder you from finding your family. With these simple research habits, you will you be more effective and successful in climbing your family tree. Are you drowning under piles of papers, pictures and documents? Are you having trouble locating information when you need it? Can’t figure out what to do next or keep track of where you have been? Learn how to tame the clutter, have information at your fingertips and create a research path that is easy to follow and can be personally tailored to your time and skills. Develop your own family history research planner to keep track of everything and achieve success. I can’t wait to experience how the UK does genealogy. I have tremendous respect for my European peers and look forward to learning from them. When I was 10, my mother was filling out a pedigree chart, I became fascinated by the mystery of who my family was. I began to write letters to find more family and was so excited to get responses. I still have those letters. That I am fluent in Japanese and that I lived in Japan for 18 months. 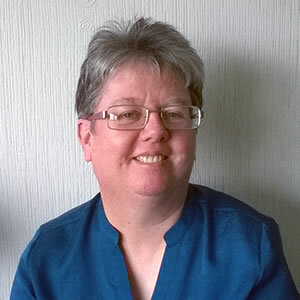 Alison Spring is a qualified genealogist and library advisor with 40 years’ experience of family history research. Highlighting the key advantages of having a relative’s life event registered in Scotland: what information each certificate category provides; how to read them and use the data they contain to find more; understanding the Register of Corrected Entries. Not quite the Proclaimers’ standard, just 300 miles. The buzz! Meeting other family historians is always exciting, and large crowds of them doubly so. My father’s love for his Hebridean heritage and the legends of the Western Isles. My tuxedo cat Molly has more Twitter followers than I do. Family History Societies play a vital role in the world of genealogy and can offer a wealth of information. There is a Family History Society for every county in the UK and and they are run by dedicated people, mainly volunteers who go the extra mile to assist with family history research, arrange for speakers and lecturers to attend their meetings and provide a mass of free information amongst a whole host of other services and benefits. Here we have two such volunteers, who have kindly agreed to share with us some background information, membership benefits and what to expect from a genealogy show. Family History Societies are the hidden gems of genealogy. They advertise their monthly or quarterly meetings with interesting and relevant speakers, and that’s fine if you live in the area from which your ancestors originated, or where they lived. But if you’ve moved away, there’s no point joining, is there? Well, that’s where you’d be wrong! Family History Societies are absolutely vital to your research, and they cost an extremely small annual amount to join – some work out at £1 a month or less – and often include a regular newsletter or magazine. Family History Societies are usually either a registered charity or a not-for-profit organisation and run by volunteers, which is how they are able to keep their membership costs low, but they still need funds to keep operating. Some Societies have free-to-view areas on their websites so that you can see what data they hold before deciding to join. Societies’ aims are to encourage the study of genealogy and local history, and also to support the preservation of important documents. Society volunteers take part in transcription projects, so you are sure to find an absolute treasure trove of genealogical and historical data, often not available elsewhere. You are missing out on vital sources for your family history by not being a member of the relevant Society! I have belonged to the Devon Family History Society for quite a few years now, joining not long after I started researching my family history back in 2003. I no longer live in Devon but it’s my ancestral county and I have therefore found a lot of information on my ancestors on their website. A register of members’ surname interests is held by the Society, so that members can collaborate on shared surnames, and compare research. The Devon FHS even has a branch for children – pun intended! – called the Acorn Club, and a large and active Facebook group. Volunteers work really hard to promote the Society and, in turn, the valuable data that is available. If you’re serious about your genealogical research but don’t yet belong to a Family History Society, then you need to join one – and what better time to see what they have to offer than at THE Genealogy Show in June 2019? You are missing out if you have never been to your nearest local history or family history meeting which are free to attend, always have lectures from local and national well renowned speakers giving out free information on how to get the best out of your new or not so new hobby, there are usually refreshments as well! Depending on where in the country you live, you could have access to these voluntary organisations who have been providing this free information, expertise and local knowledge for decades and in some cases, before you were even born. All these societies offer a specialist person to help, a dedicated local researcher who seems to be the font of all knowledge about their area, who either can produce the information you are searching for or will know where to find it. Usually these are the people you find behind the tables at the local history events and Family History Fairs which have been organised by the societies for many years now. They will also be the people you will be chatting with at THE Genealogy Show, with all of their wealth of knowledge. So why do all of these people, who in the main are all volunteers, give up their time to help you at meetings and history fairs? It’s because it is a fabulously enjoyable thing to do, because we want others to get as much enjoyment as we do from this engaging hobby of ours. I am one of these volunteers, you will find me either behind the Herefordshire FHS, Powys FHS or the Association of Family History Societies of Wales exhibition stands, giving out free information to all and sundry. I will talk to anyone with an interest in family history. So assuming that you are reading this, and you have never been to a Family History Fair in your life before, what can you expect when you arrive at the NEC ? Initially what will hit you will be the buzz of excitement as you approach the halls, friends and old acquaintances will be meeting and then there will be the noise as you enter the hall. Next it is the lights, every stand, especially the big commercial stands will have spotlights glistening in every direction, many with large interactive displays trying to catch your eye before you walk by, or not, your eyes focused on the mass of other smaller, but just as enticing displays, floor walkers handing out giveaway leaflets, show offers, vouchers to spend on the day or within so many days of the show date. So get there early if you can, it will take you all day to walk around all the stands, especially if you have interests spread around the country and need to find multiple stands. Maybe you will also want to listen to one of the numerous other talks or lectures which will be going on for the duration of the show. Plan your day beforehand if possible, remember, THE Genealogy Show will only come round once a year. I hope I have instilled in you either as a visitor, volunteer or exhibitor to get involved. All I know for certain is I will be there, and I will have a great time and meet friends I have known for years whilst being involved in this enthralling pastime. Why Exhibit at THE Genealogy Show? From Brand or Family History Society awareness to integrity, there are numerous benefits to exhibiting at THE Genealogy Show. Creating a presence, whether big or small can provide a platform for attracting new members, strengthening links with existing customers and developing a strong and more established brand. Meet and connect with prospective customers: By engaging with someone in person you can become someone they know, recognise and want to connect with. Network: What can we say? Just think of the opportunities for networking! Membership Drives: Increase your memberships from the thousands of people that will come through the exhibition hall. Strengthen your brand or even establish it, boost your sales with free giveaways, special offers and by just having a presence at THE Show. Learn about new developments in the industry: many choose to showcase new ideas, products and breakthroughs at an exhibition or use the opportunity to showcase your own. Generate quality leads: Data is of unquestionable value and if nothing else, you need to see THE Genealogy Show as the chance to capture data in the form of email addresses, phone numbers and postal addresses. Inspire: be the reason to pique someone’s interest in genealogy, from simply helping them with a missing link in their family tree or going forth to change the future of genealogy! Now you have heard how great THE Genealogy Show is going to be, you are thinking is your local society going to be exhibiting? Check the confirmed exhibitors list to see if they are there, if not ask at the local meeting if they are going to sign up. They will no doubt ask what the cost is, is it worth us going, are we going to get our money’s worth, will we sell enough to pay for the costs, how many leaflets should they bring, what kind of things should they bring? Bring as many and as much as you can muster is my answer, you can always take them back, but if you do not attend or do not have them, you have missed a possible new member or publication sale and once the opportunity is gone, it may well be gone for ever. Remember people love to take something home with them, be it a leaflet, an application form, a free pencil or pen and if that free pencil has your web address on it, they might just come back to you one day. Today marks the introduction of a new feature which will run over the coming weeks, bringing an insight into the fantastic arena talk programme and some fascinating facts about the speakers behind them. Yvette, CG® is a professional genealogist, writer, and lecturer from the Netherlands who specializes in researching Dutch ancestors. Many Dutch vital records are available online and indexed. This presentation introduces the most important sources for researching ancestors in the Netherlands: civil registration records, population registers, church registers, and gives an overview of other available records. It also explains where to find these records online. 500 km. I’m in the Netherlands. Catching up with old friends and meeting new ones. The story that my recently deceased grandfather had a twin brother, which freaked me out. As a child, I created a census for my LEGO city that recorded who lived where, plus plat maps that showed where each house was located. We will review the different screens and options on the different platforms while creating notes from emails, documents, photos, webpages, recording voice, drawing, StickyNotes and business cards. We will also discuss how to organize your notes. This session will go over how different social media platforms can help in four different areas of genealogical research and family history: research your family; general research helps & training; share information with others; meet distant relatives. We will discuss these four areas with the following platforms: Facebook; Twitter; Pinterest; YouTube; Blogs; Instagram. Plus, we will discuss ease of use, downfalls and cost for each of the social media platforms. This session will help you to evaluate other social media platforms in the future. Total distance: 6,836.67 km (4,248.11 mi) – according to Google Maps. To experience my first genealogy show and to see the people and the hype and meet new people from all over the world. Kirsty Gray at an Ohio Genealogical Society Conference. Married 32 years this Christmas, 5 children and twin granddaughters. I love sitting by a lake or ocean and listening to the water. Have you reached a standstill with an aspect of your genealogy research? Has your family tree got you in a quandary? If the answer is yes, then why not tap into some expert knowledge with a personal wizard consultation at THE Genealogy Show. Our experts will be available for a one to one session where you can take advantage of their expertise on subjects ranging from Adoption to Local History and much more besides. 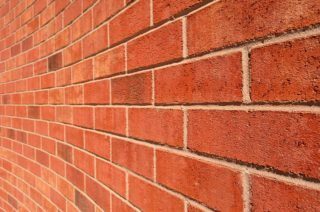 You can ask for assistance if you’ve reached a brick wall or pose questions on where to potentially locate information. With three designated time frames to choose from on both the Friday and Saturday, you can stop off at ‘THE Wizard Station’ in between browsing the exhibition stands or attending arena talks. Simply include your name, an email address and the topic you are seeking assistance with! Consultations are limited to one per person, per day.